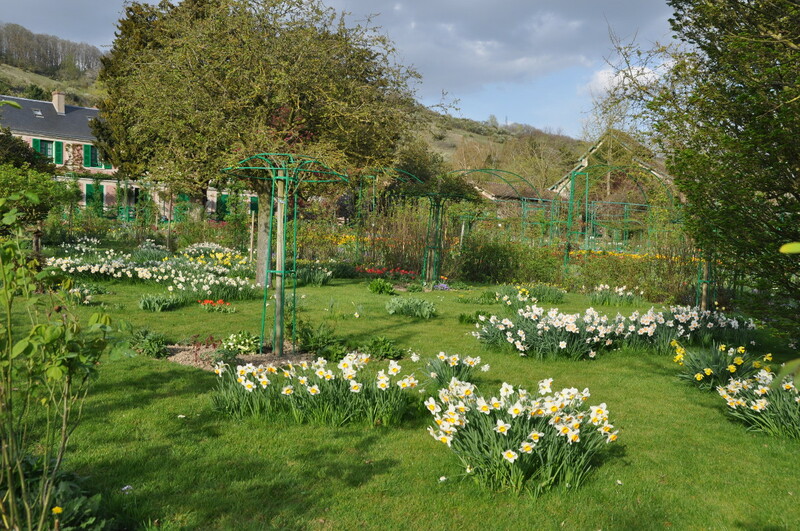 Monet’s house and gardens at Giverny will open next week on Saturday, the 28th of March 2015. If you plan to explore Monet’s place that early in the season, this is more or less what you can expect. The above pic was taken last year on the 2nd of April. It is an effect I like and that doesn’t last for a long time, daffodils making bouquets on the fresh green lawn. Their planting recalls the way the water lilies float on the surface of the pond in Monet’s water garden.